Good evening. My name is Michael Sieman. I am the founder and CEO of Lake Forest Real Estate Investors, the contract purchaser of the site and the CEO and co-founder along with Todd Zima of Z|S Development, the proposed master developer. As a member of the Zoning Board of Appeals in Lake Forest I appreciate the value of everyone’s time and meeting procedures. Given the import of this agenda item and our investment here, Mr. President, members of the board, I request additional time, approximately 10 minutes in total to complete this prepared statement. In reviewing the proposed Ordinance and the minutes from recent meetings, I think it might be helpful to share some information regarding our companies, our intentions and our history. We understand and appreciate the caution the Village has in working with anyone given the past. We humbly request that everyone do their best not to allow the past failures of others, who have nothing to do with us, affect how our team and vision is judged. Together we will deliver an incredible project of which we can all be proud. We are fully capably, capitalized and ready to go. So my knowledge of the site dates back to when my grandfather, John Green, would take me to the Purple Hotel. He served as a police magistrate in Lake County and Chairman of the Democratic Party Central Committee of Northern Illinois. Like others in politics and law the Purple Hotel was a favorite meeting place. Together, we can far exceed the regional drawn the Purple Hotel was at its peak and the economic benefits it produced for this community. When the notice of foreclosure was recorded on January 20, 2016, I began receiving phone calls from various parties inquiring as to my my level of interest in the property or to capitalize its development. None were conversations with anyone directly involved, so there was no substance. Over the last 20 years I have reviewed well over $100 billion in institutional commercial real estate opportunities with hundreds of different developers and investors. I have participated in the execution and capitalization of roughly $3 billion worth of real estate including the development of Glen Town Center, located on the former Glenview Navy Base and Sherman Plaza, the 25 story mixed-use anchor of the economic and development boom experienced in Evanston. Both were complex public-private relationships that included TIF financing therefore most analogous to the situation facing the Village here. Before I got into real estate, I had been a chemist. I declined an invitation to the MD/PhD program at the University of Chicago in favor of pursuing a Master’s in Real Estate Development from Columbia University. My father probably still thinks that was crazy. He has been an attorney for the past 50 years including working in the Lake County State’s Attorney’s Office where he helped design the County’s comprehensive plan. But it was really his participation in the formation of the Middlefork Farm Forest Preserve in Lake County that has had the most profound influence on my career. There I witnessed a complex and lengthy process which included the use of both eminent domain and negotiated sales. I believe the requirements and process to pursue a condemnation here would only add a further and unnecessary delay in accomplishing the common goal we can all achieve together right now. Design – Todd had been a Principal with Studio Gang before co-founding Z|S with me. He will be running the design team. Entitlement – we would not be here today if it were not for the proactive nature of Lincolnwood and your willingness to take a fresh and exciting look at this site. The potential here is limited only by your desires along with the parking demands made by its ultimate users. Independent of the direction the Villages chooses tonight, do not settle for anything less. Project Management –The team we have assembled will give confidence to every citizen of Lincolnwood that this project will be delivered. A real estate developer is a lot like a movie producer. As producer of this development we are casting a best in class team with redundancy up and down the cast. If Sean Connery has to be replaced we will have Roger Moore or my personal favorite Pierce Bronson ready to go, and they all have to answer to me and I, in turn to, you. So really the director makes the movie. The producer capitalizes it. Without capital and the ability to deliver appropriate returns to investors, none of the rest really matters; hence the requirement for TIF here, which to date has still failed to achieve any results. We have more than enough capital to complete the entitlement and have multiple redundant pre-vetted institutional capital markets solutions for any host of development scenarios. In fact no matter whom the developer, the ultimate source of the capital will likely be an investor that we know. So In July of 2016, I was able to discuss a potential purchase of the defaulted loan. In a meeting with Village officials on August 22, 2016 we understood there to be interest in working together. Then over the course of multiple meetings with the Village we exchanged ideas for a completely reimagined development including the residential component and civic space we all agreed would be necessary to ignite the project. Unfortunately, though, after extensive effort, we were never able to come to agreement with the then property owner. Without that agreement we were left with no immediate way forward. On January 11, 2017 the court ordered the property auctioned. The confirmation of that auction was challenged. Then abruptly on October 11th 2017, before the trial could start, the Plaintiff dropped their challenge and turned over the deed. We then re-engaged with the foreclosing lender who now owns the property. A fully executed redacted purchase and sale agreement was delivered to the Village Attorney on December 19, 2017. An almost forensic process of meeting with and interviewing all relevant participants in the previous project. We now feel we have a complete understanding why previous projects failed. On January 25, 2018 we had our most recent of 3 meeting with one of our neighbors where we reached a tentative understanding on how to move forward. Having an understanding was a prerequisite before we could continue further. We have had extensive conversations with multiple institutional investors. And upon our ability to demonstrate control of the site now have redundant deliverable capital markets solutions providing multiple back-ups should market liquidity become an issue like it was 10 years ago. We have met with various contractors to discuss how to immediately remediate the current site. Until February 14th our process had not reached a point to engage in conversations with the Village any more meaningful than those that had previously occurred. This leads me to my conclusion. We applaud the pro-active nature of the board and the Lincolnwood community. I would suggest that we reschedule the meeting that was set for this morning ASAP so we can discuss all the details of our plan in the appropriate forum. I assure you the last thing we want to do is stand in the way of the completion of this project. 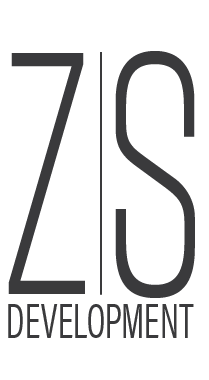 We formed Z|S under an unwavering set of values and beliefs regarding the role of the real estate developer in society, holding most integral the social contract between the community and the developer. If after that meeting, the Village does not want to enter into that contract with us, we have a pretty good idea of the value here. I will give full consideration to any offer subject to the full acknowledgement of our property rights and fiduciary responsibility to our investors. That being said, I am confident the path for success here is to work with us. We stand before you, a ready, willing and able party with multiple deep ties to the Lincolnwood community who has made significant investment in both time and money to get to this point. The previously approved PUD included an economic incentive package that to date has failed to deliver results. Significant time has elapsed under the current legislation and the Equalized Assessed Value is under water. Further diminishing the value of any TIF now is the new tax law. We have a number of potential creative solutions for an economic incentive package that will successfully satisfy the institutional equity return requirements. But now, given this agenda item, maybe together we can do even better? If the Village were to purchase the subject property, I assumed there would be consideration given to the issuance of general obligation bond. Instead of using those proceeds to complete a potentially lengthy condemnation process, use them instead to leverage our investment. This way the Village will capture the maximum of the potential future tax obligations created here that would have otherwise been required to satisfy an economic incentive package at a higher cost of capital. The GO Bond is the most effective tool of any Village representing the lowest cost of capital. We can get you the best interest rate possible on the bond and best rate of return from the development. In underwriting any investment the first question is always going to be “Who?” When you examine who we are, I am confident you will agree we are the perfect fit for this assignment. This is the type of multi-variable calculus in development where we have been built to excel.